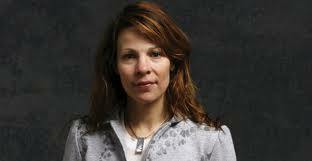 In the world of small and independent films, Lili Taylor is well known, but for mainstream audiences, although they've seen some of her work, she's a bit of a chameleon who manages to disappear so realistically into each role she plays that many times people don't even realize they are watching an actor. One of the reasons behind this is because she looks just like us. She is the opposite of the typical Hollywood actress and although she can be glamorous, it's the plain and quirky characters audiences seem to relate to the most. And no one does this better than Lili Taylor. She's one of those actors whose performance stays with you because she makes you understand her character so well that we think we know them. Watch Mystic Pizza and tell me you don't know that girl. From Girls Town to Household Saints, and from Dogfight to I Shot Andy Warhol, Lilly Taylor embodies what good acting is all about. She becomes the role. We never see the actor, only the results of her wonderful work. Terrific actress-I hope she finds the acting role that gives her more recognition.